The hooked peninsula of Cape Cod is one of those places where you can’t help but use the term ‘something for everyone’. With the endless stretches of calm, white sandy beaches, the beautiful old towns, quaint old ports and busy holiday resorts, the art galleries, the historic sites, the restaurants - both family and fancy, this really is a destination with universal appeal. The same can be said when it comes to choosing your accommodation. There’s plenty of choice from simple B&Bs to party resorts and luxurious boutique hotels. 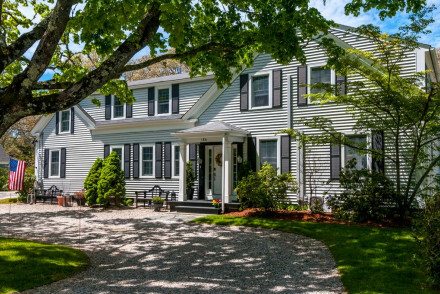 This region of Massachusetts also has a large number of great inns, and our Gurus have ‘worked hard’ holidaying to bring you their recommendations for Cape Cod’s best inns. If you’re searching for peace and great value, one of Cape Cod’s best inns is the Platinum Pebble Inn in Harwich. It’s on the Lower Cape, near the ‘elbow’ of the peninsula, just behind the beautiful Belmont Road Beach. The inn was built in the 1850s, but these days the eight rooms feel modern yet simple. There’s a pool and lovely gardens. If you want to relax and do the odd bit of sailing, cycling, swimming and strolling, this is the inn for you. A rival for Cape Cod’s best inns for great value is the Centerboard Inn - it dates from 1880 and has a relaxed, nautical feel and seven very reasonably priced rooms. 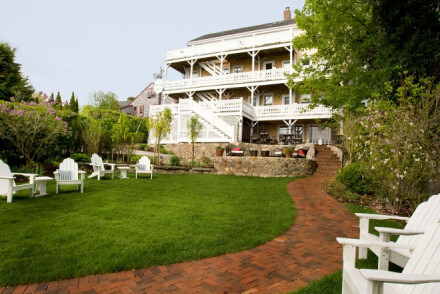 The Chatham Bars Inn is one of Cape Cod’s best inns for families looking for a little bit of luxury. It’s right on the seafront in Chatham, which has a lovely harbour, with seals, a barrier island to keep the water calm and a lovely pedestrianised centre. There are private beachfront cottages, suites or rooms to choose from and a smart dining room and loads of activities for all the family. 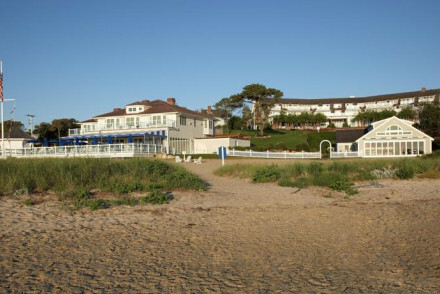 Several of Cape Cod’s best inns can be found on the Cape’s islands, Martha’s Vineyard and Nantucket. 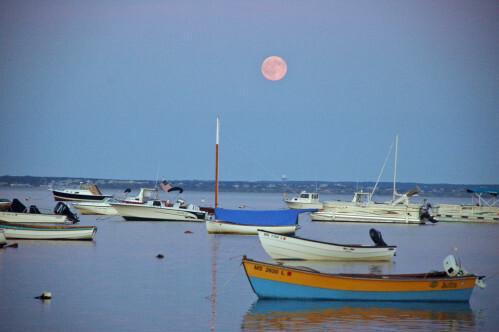 Martha’s Vineyard is a peaceful haven of beauty, favoured by celebrities and without a single chain restaurant or hotel. And Nantucket is known for being delightful and exclusive: there’s great service, great seafood, great golf clubs, sailing clubs and lodges, and a beautiful natural backdrop - around a third of it preserved by a conservation foundation. 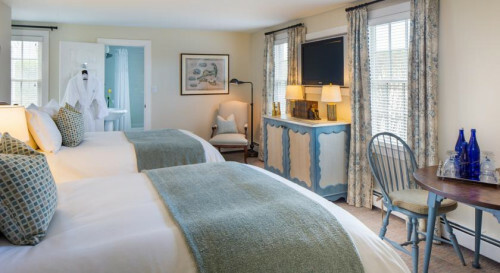 If you’re looking for a great grown-up family holiday, Nantucket’s Regatta Inn is one of Cape Cod’s best inns. A nautical feeling federal-style conversion with just eight rooms and a lovely garden, they welcome kids over ten and generously lend out their beach gear. 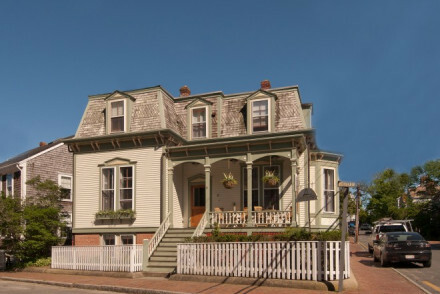 Also on Nantucket, The Veranda House is one of Cape Cod’s best inns if you want to be looked after, there are just 18 rooms and the concierge does an excellent job getting you back to nature while keeping you active with whale watching, sea kayaking, fishing, sailing and the like. 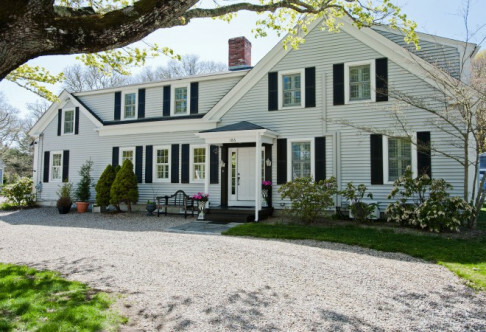 If you like the idea of Martha’s Vineyard consider Lambert's Cove Inn, Farm & Restaurant, a large farmhouse surrounded by manicured lawns, with a heated pool, a tennis court and a spa. 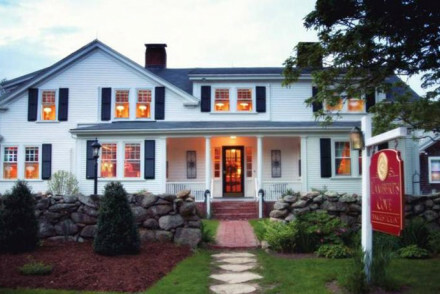 This is one of Cape Cod’s best inns for a relaxed, country house style break. 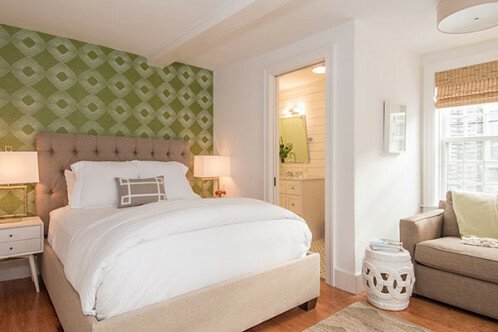 or refine your search to just the best places to stay in Nantucket. And if you still can’t find what you’re looking for please contact one of our friendly Gurus for advice. Historic 1850s inn minutes from the beautiful Belmont Road Beach on Cape Cod. The rooms are simple and modern, with chic leather furnishings and bold colours. The inn is secluded and features a peaceful outdoor pool and garden with fireplace. It is also committed to being eco-friendly. Swimming Pool - The unheated outdoor pool is nestled at the heart of the inn, and is open from May to October. A sophisticated bed and breakfast with a nautical feel just a short walk from the lively sea front. The house, originally constructed in 1880, has a relaxed feel - with spacious bedrooms and lofty ceilings. In the summer months, enjoy cheese and wine by the garden fire pit or on the shaded veranda. Luxurious seaside hotel with an elegant nautical feel offering ocean view suites, contemporary bedrooms and private beach front cottages. A smart evening dining area with fine cuisine and romantic sunset views. Activities to suit all the family at this refined seafront resort. A sophisticated bed and breakfast in a gorgeous Federal-style house with comfortable bedrooms and a nautical feel. Make yourself at home - borrow chairs, towels and umbrellas and wander down to the local beach. Spend evenings in the garden after visiting nearby restaurants. Value chic - Fantastic value for money with doubles starting from only $99 per night. 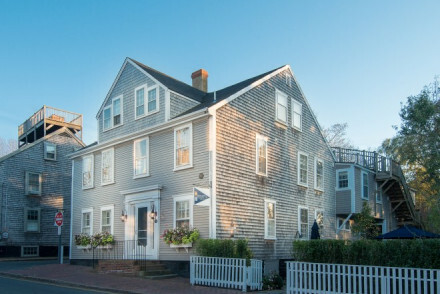 Contemporary hotel, a converted 1680s townhouse overlooking the Nantucket harbour. The modern rooms are chic and feature luxurious amenities. 3 levels of wraparound porches boast spectacular views of the harbour and gardens, and there are numerous activities and nautical adventures on offer. Large farmhouse resting in manicured lawns with heated pool, all weather tennis court and spa. Rooms are different but collectively comfortable, similar to that of an English country house. Restaurant menu incorporates fresh local ingredients. Relax or explore the local area, a stunning spot! Sights nearby - Lambert's Cove Beach nearby is private and requires a free pass from reception. Great walks - The gardens are yours to explore.